11a/b/g/n Wireless LAN Mini-PCI Express Adapter is a Network Adapters hardware device. This Windows driver was developed by Qualcomm Atheros Communications Inc.. The hardware id of this driver is PCI/VEN_168C&DEV_0024&SUBSYS_0033168c. 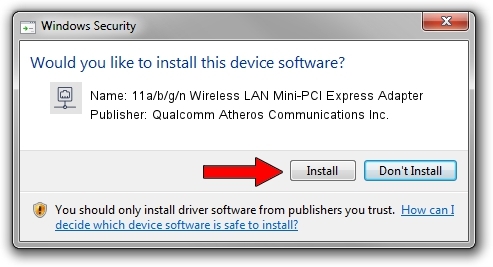 You can download from the link below the driver installer file for the Qualcomm Atheros Communications Inc. 11a/b/g/n Wireless LAN Mini-PCI Express Adapter driver. The archive contains version 10.0.0.222 dated 2012-12-20 of the driver. This driver was installed by many users and received an average rating of 3 stars out of 24172 votes. Take a look at the list of available driver updates. 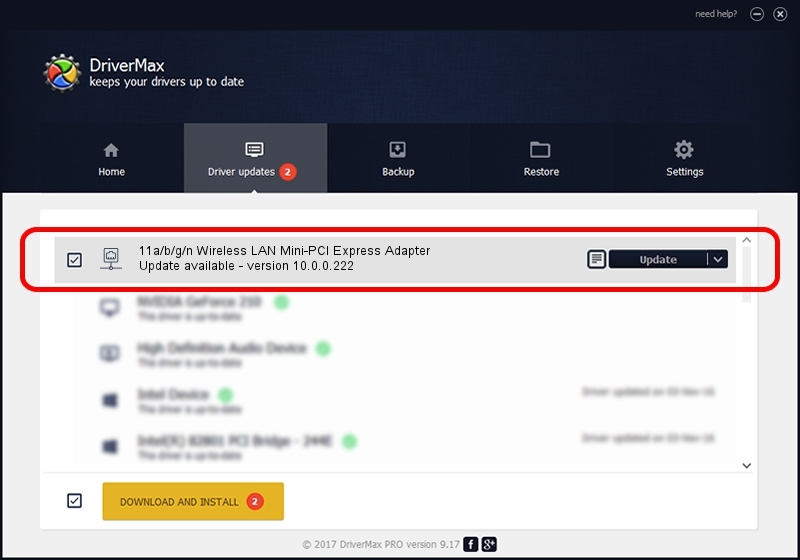 Search the list until you find the Qualcomm Atheros Communications Inc. 11a/b/g/n Wireless LAN Mini-PCI Express Adapter driver. Click the Update button.